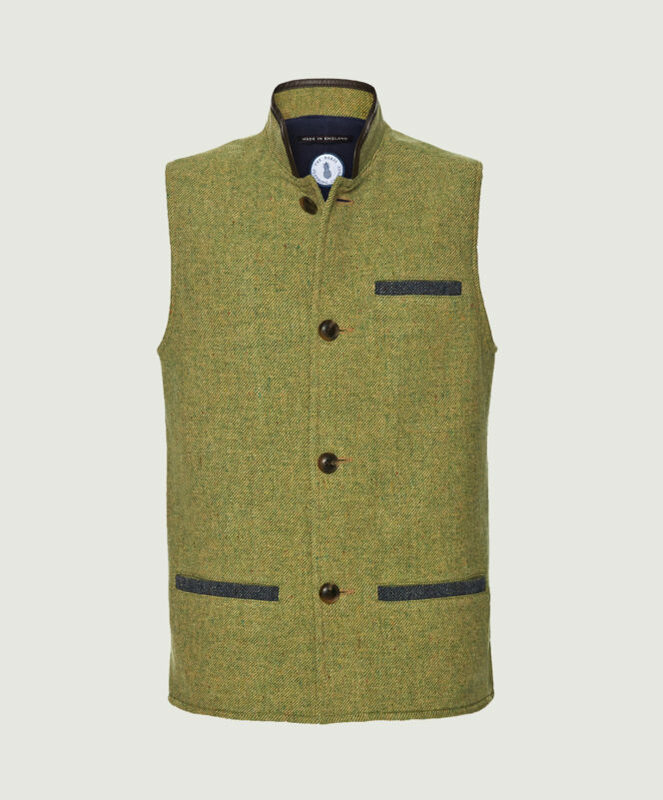 The gilet has come a long way since its conception as a jerkin favoured by European peasants of the 15th Century. But its primary function — keeping the wearer warm whilst allowing freedom of movement — remains this versatile garment’s main appeal. And, over the past six centuries, the gilet has lived through more reincarnations than Madonna. Heading for a weekend shoot on the country estate? 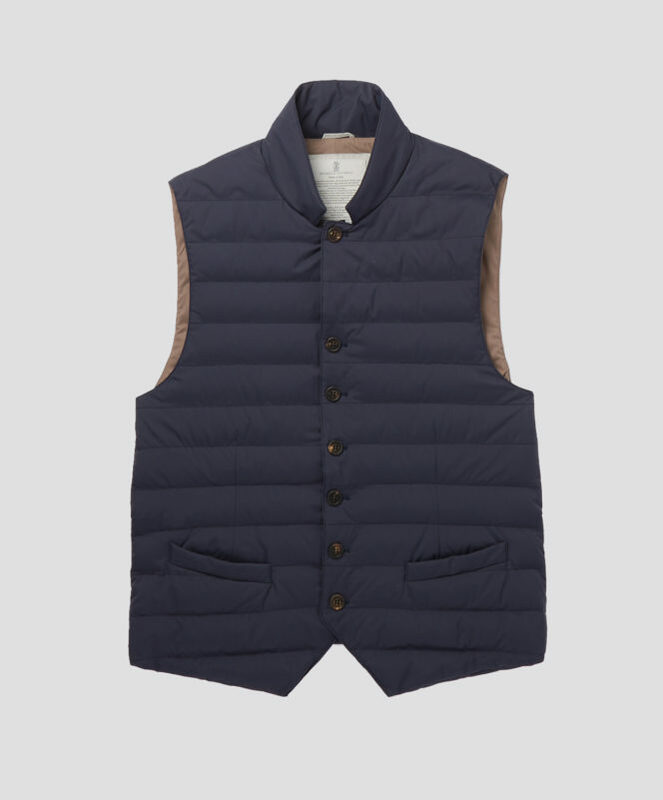 Make like the landed gentry of the early 20th Century and wear a quilted gilet. Wanting to stay cosy on your commute? Channel your inner Italian, for whom the word ‘gilet’ translates as ‘waistcoat’, and remains an everyday staple to any gentleman’s wardrobe. Can there be a better feeling than reaching a Friday evening and escaping the city for a weekend in the country? If you have plans for autumnal strolls, fireside drinks and a total break from reality, then the Original Darzi woollen gilet is your perfect accompaniment. Made using 100% mid-weight Shetland tweed and a high quality British fleece, this gilet is sure to keep you extra warm this winter. 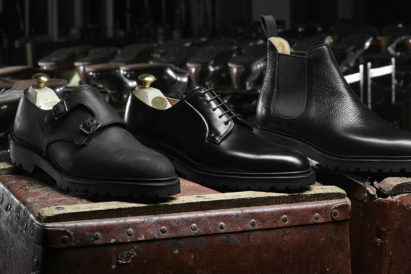 A favourite brand over at GJ, Sir Plus have made an art of designing pieces of clothing using surplus material (get it?) and the results are astonishing. 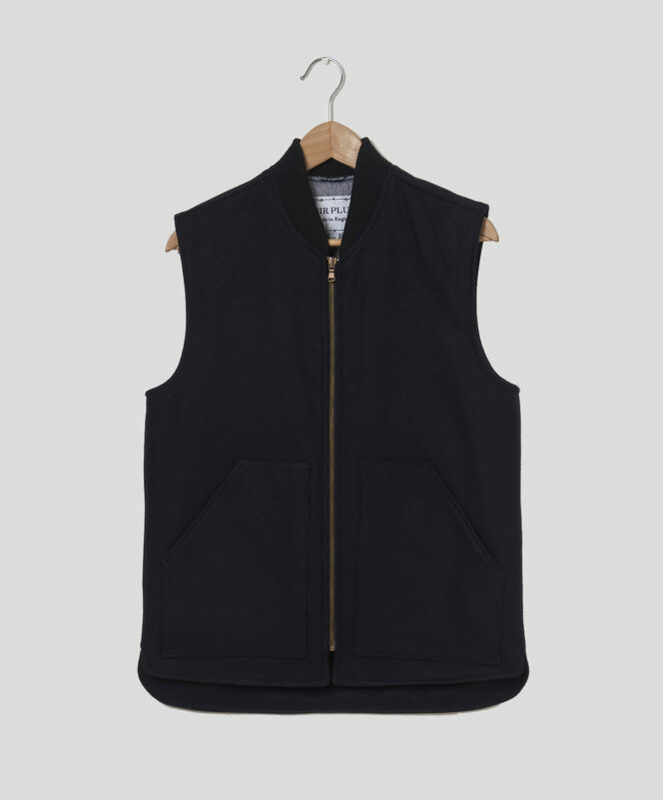 This navy gilet is made using 100% wool. The roomy armholes allow free movement, giving you the option to layer a knit underneath. 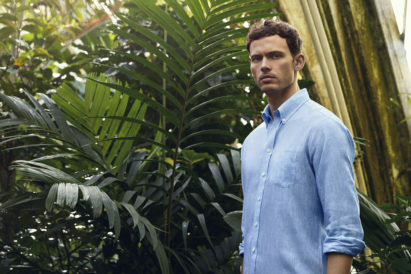 You can team it with a raglan T-shirt for a casual look, or smarten it up with a Grandad Shirt. Technical outerwear is really taking off this season, and Moncler‘s ‘Alrance’ gilet coolly taps into the trend, but will also last you for years. Made from red quilted shell, it’s filled with down for insulation and fitted with a handy stowaway hood. 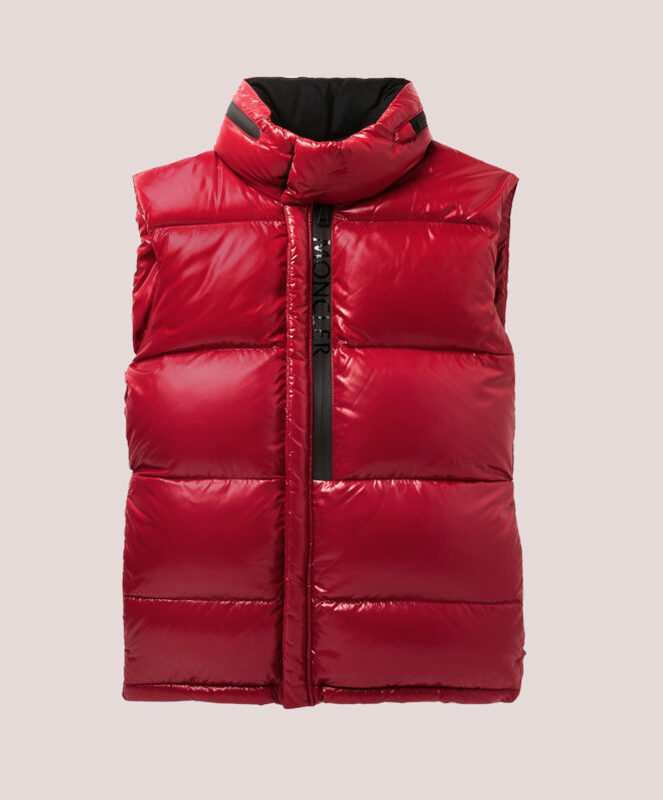 If you have no intention of skiing, but but simply want to work this trend, this gilet has a slightly loose fit and will easily slip over a sweater or under a coat. With its lightweight down filling and streamlined profile, Brunello Cucinelli‘s blue nylon gilet could easily be worn in lieu of a waistcoat to make a shirt and tie combination feel less formal. If you’re feeling particularly European, make a nod to the relaxed Milanese styling and try it under an unstructured blazer with popped lapels, or for a more casual effect, team it with a crew-neck sweater. With the wintry weather well and truly upon us, you’ll need to wrap up in a few extra layers before heading into the field. 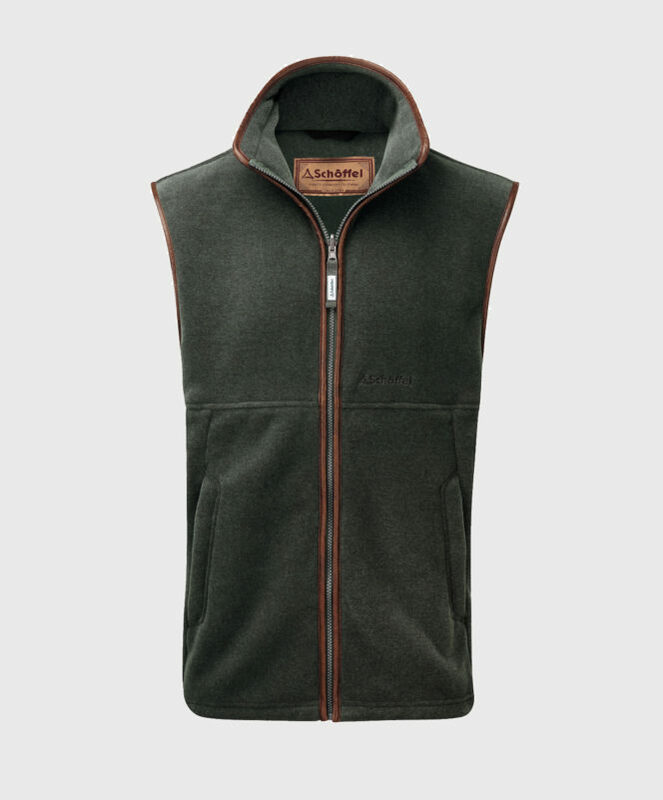 The Schoffel Oakham Fleece Gilet makes for the ideal layering piece, and is perfect for adding warmth to any outfit. Handily, it can also be zipped into the Men’s Ptarmigan Interactive Shooting Coat by Schoffel, in order to provide an extra insulating layer. Crockett & Jones are on hand to give your wardrobe an effortless Autumn update with their chic AW18 collection — The Black Editions.